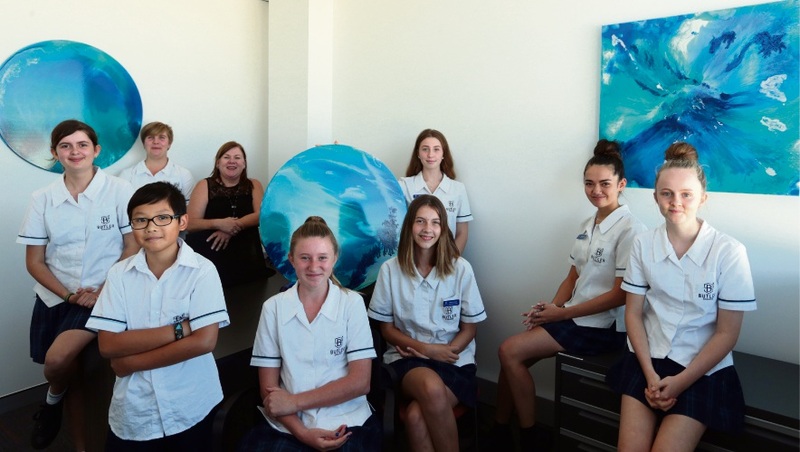 HIGH school students have brightened the walls of a cancer support centre as part of a community engagement project. A dozen Butler College students created acrylic paintings this term for the Prostate Care Centre at Genesis CancerCare in Joondalup. Prostate cancer specialist nurse Julie Sykes approached the school about donating art for the centre, which opened in February. “It’s a new centre and lacked a bit of colour,” she said. Ms Sykes said the art had already been well received by patients since it went on display in mid-March. “It makes it a nice environment to be in,” she said. The free service provides information and support to prostate cancer patients in the cities of Joondalup and Wanneroo. She said the next information session for patients would be on May 18. The Butler College students attended an afternoon tea at the Joondalup Centre to see their artworks on display. Prostate Cancer Foundation of Australia state manager Nadine Magill also presented a framed cycling jersey to the centre at the March 28 event.